Five Egyptian soldiers reported killed in Ismailia. Death toll from Sunday reaches 53. A massive explosion hit security headquarters in a southern Sinai town on Monday, Egyptian officials told Al Arabiya, as the death toll from clashes between rival Egyptian streams Sunday rose to 53. Sky News Arabia said two people died and 25 were injured in the Sinai blast. In further violence in the country, five Egyptian soldiers have been reported shot dead in Ismailia, in northeastern Egypt. It is not yet known if the attack is related to Sunday’s protests. 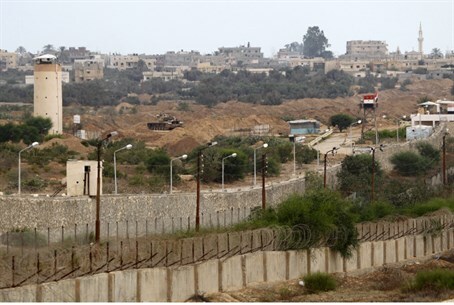 Security sources told Reuters that gunmen opened fire on the soldiers while they were sitting in a car at a checkpoint near Ismailia on the Suez Canal. The violence continued as unknown assailants fired rocket propelled grenades at communication satellite dishes in Cairo, damaging one, security officials told Agence France-Presse. The officials said one of the rockets left a 25 centimetre (nine inch) breach in a satellite dish used for international phone calls. Sunday was one of the bloodiest days since the ousting of former Egyptian president Mohammad Morsi in July this year, as his supporters battled security forces and army supporters on the anniversary of the 1973 war with Israel. State radio reported that security had regained full control of Egypt but that the clashes had left 271 people wounded, according to Reuters news agency. The Muslim Brotherhood has urged Egyptians to stage more protests against the army takeover of the government in Tahrir Square on Friday.